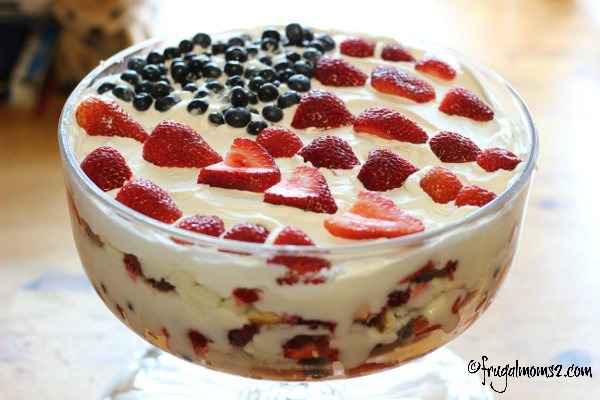 Patriotic Berry Trifle, Frugal Moms style! They say imitation is the best form of flattery. It can also be downright scrumptious. 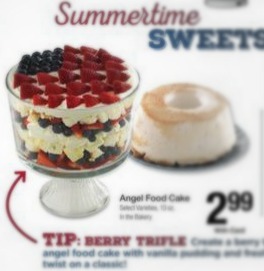 I was planning on making a traditional flag cake for our 4th of July cookout, but when I saw this “Patriotic Berry Trifle” in a Kroger ad, I knew I had to make it! But there wasn’t a recipe on the flyer or on the Kroger website. I went searching and finally found some fancy, detailed instructions here on YouTube. So I started to watch, and was interrupted several times by children, so I tried again. As they started talking about glazing the angelfood cake, my eyes started to glaze over too. Just way too many steps for me. I wouldn’t mind it so much except I’m not in a phase of my life where I can concentrate for long portions of time without little people doing something crazy. 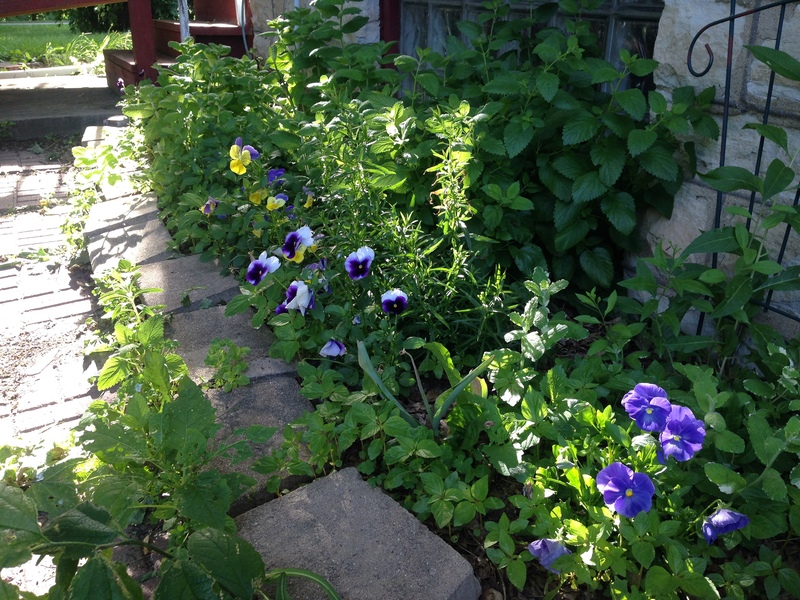 I need simple, straightforward, frugal, and fast! So I winged it, and came up with this. My berry trifle is a little more “squashed” than the original picture. I needed to use more angel food cake (I used a small one), and probably used too much yogurt. But you know what? It was amazing anyway! And very healthy! 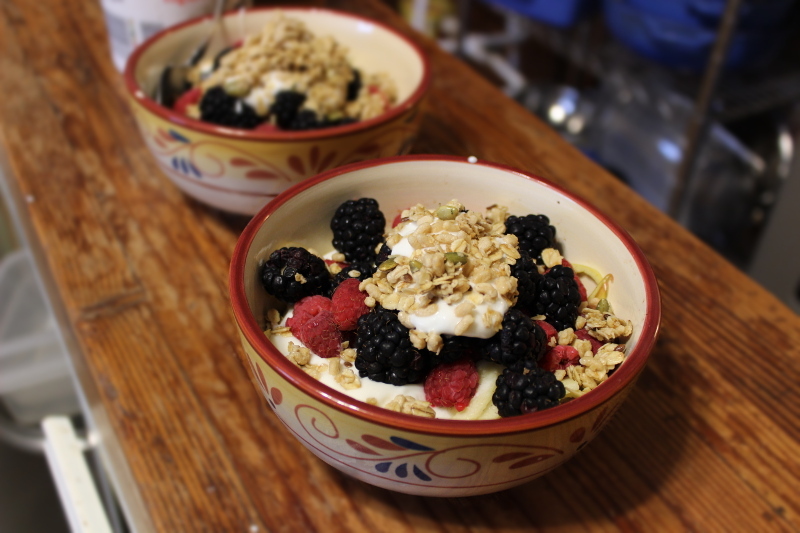 I love making desserts that are healthy enough to double as breakfast without any guilt involved! 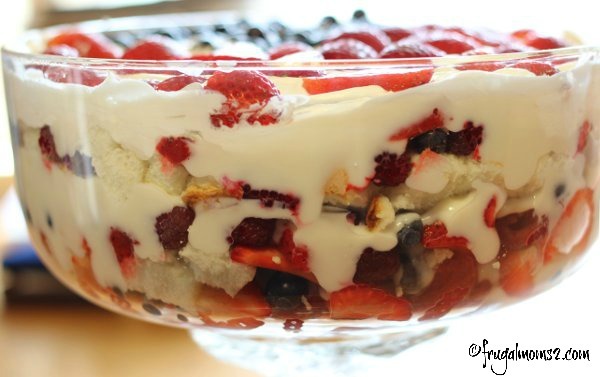 This berry trifle is quick and easy to make, with just a few ingredients. 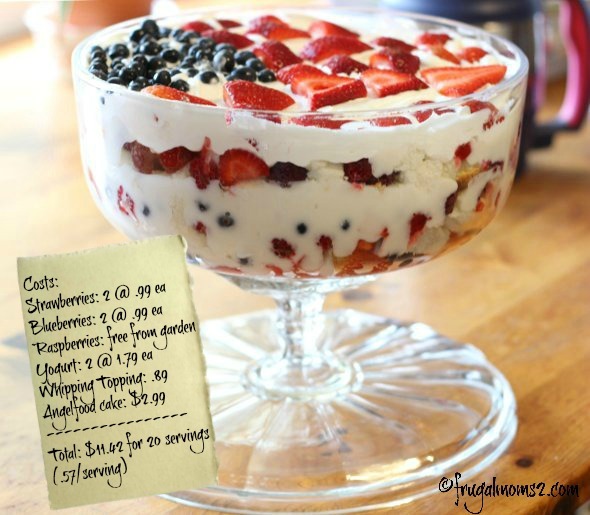 Berries are at their best (and cheapest) in early July, which makes this Patriotic Berry Trifle frugal, delicious and healthy! 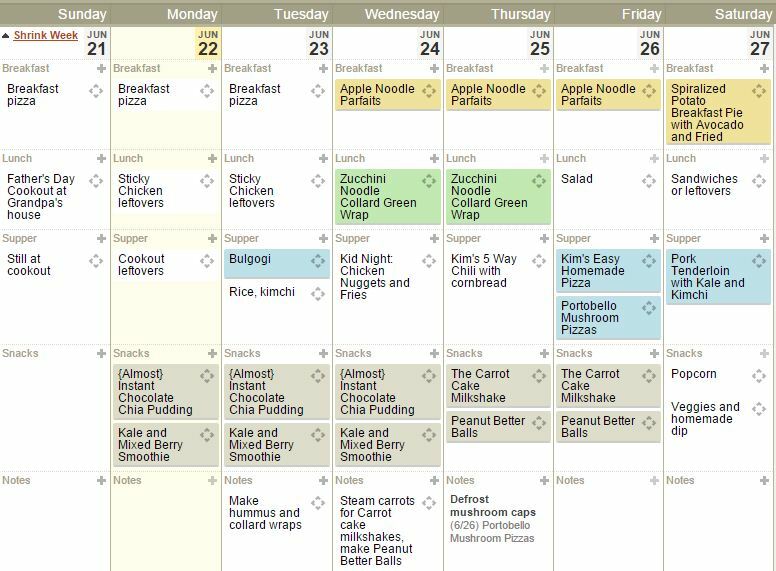 I used an upside down cake plate to hold this trifle, and used any leftover berries and yogurt to make Apple Noodle Parfaits. Place a third of the strawberries, blueberries and raspberries in a layer on the bottom of the bowl/cake plate or whatever serving dish you're using. Top with a layer of ½ of the angelfood cake cubes, then 2 cups of yogurt. Repeat layers- berries, cake, yogurt. Cover with plastic wrap and chill for an hour or until ready to serve. 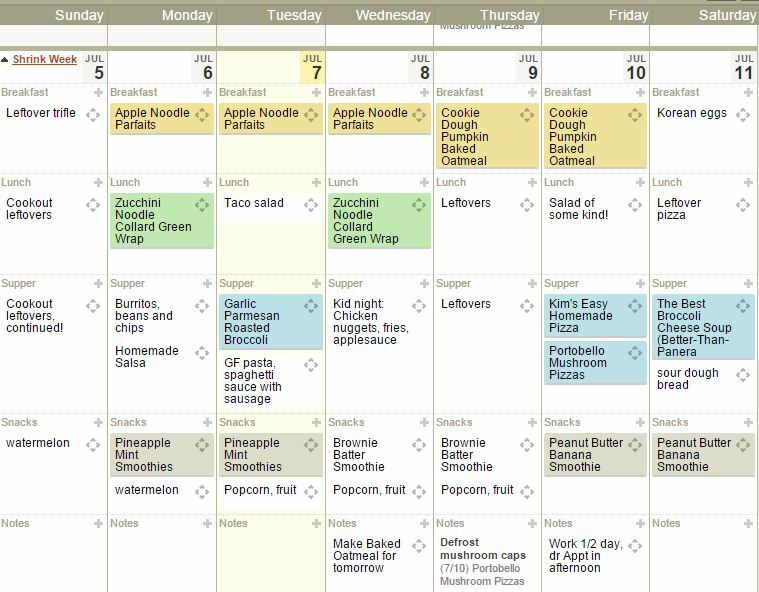 We served 9 people easily, with LOTS of leftovers. I'm guessing there were about 20 servings. It didn't last long though! You can make this in a deeper dish and do more layers, more cake, if you like. Get creative! 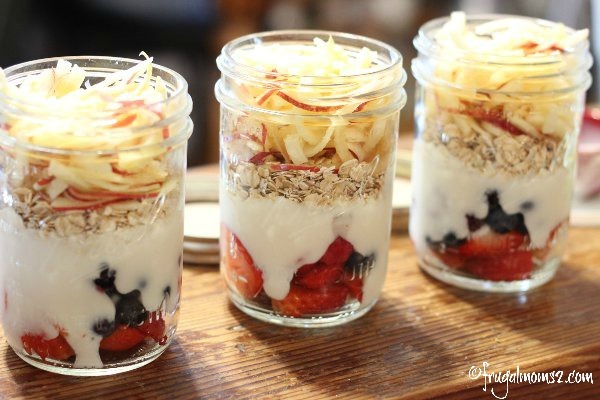 Save any leftover ingredients and make individual parfaits in mason jars. Delicious! 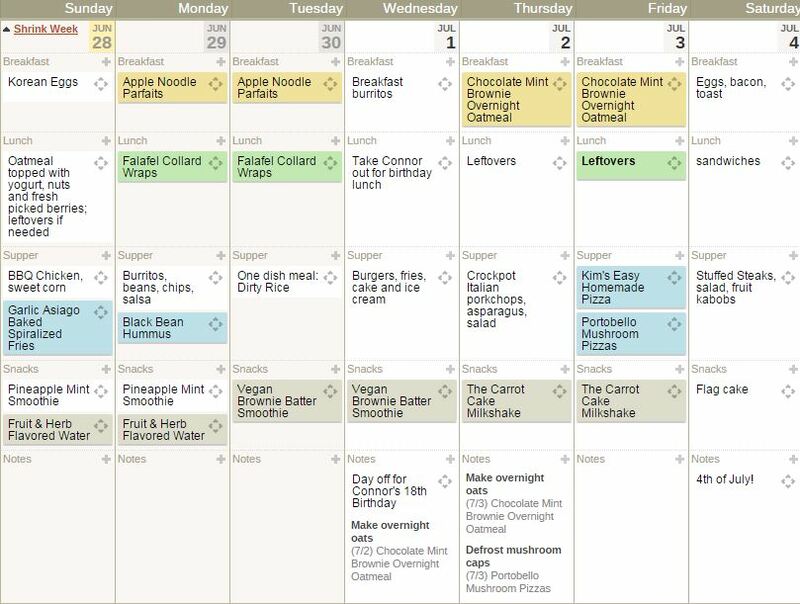 This entry was posted in Food, Holidays. Testing out our new commenting system. You can now reply via email!